The world has been aghast at the very idea that the Jerusalem municipality approved expanding its Gilo neighborhood with 1100 new housing units. But where exactly are the planned units going to be? Gilo has had plans to expand for a while now. Notice that the boundaries of the Gilo neighborhood in the second map already includes all of the proposed expansions in the orange area above. 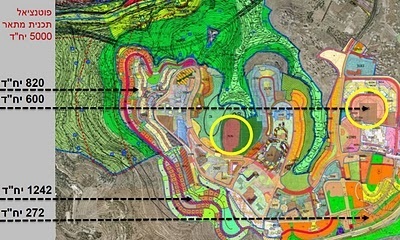 The total number of units in all the proposals is about 5000. 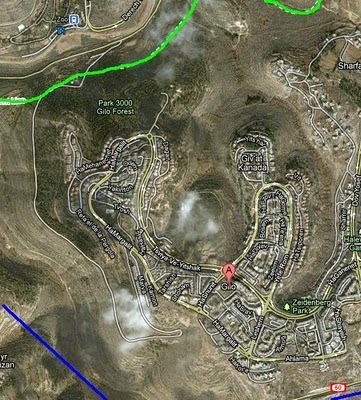 As far as I can tell, from emailing people who know the area as well as from news stories about the development, the proposed new housing units that is so upsetting the world are on the northwest part of Gilo, going into what is now the Gilo Forest - the one that is listed as 820 units in the map above. Going back to the first map, we can see that the proposed housing does not go towards any Arab areas at all. The only space it take are a forest and park built by the Jerusalem municipality. It does not take up any land ever owned by Arabs. 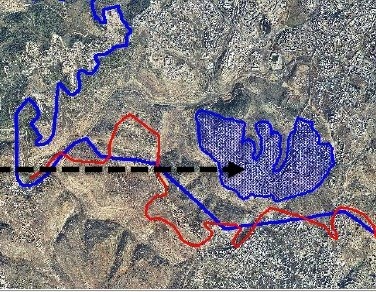 It is not “encroaching” on “Arab land.” Instead, it is going towards the Jewish parts of “west” Jerusalem! There is nothing at all controversial about the idea of Gilo expanding to the northwest. There is no possible way that any of that land would ever be part of an Arab state. The reflexive condemnation of every single expansion within Jerusalem’s municipal boundaries of existing Jewish communities is not based on any logical or legal objection. It is simply a tacit acceptance by the world community of the reprehensible idea that the PLO has veto power over construction in much of Jerusalem. And that is simply not acceptable.